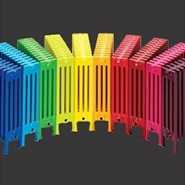 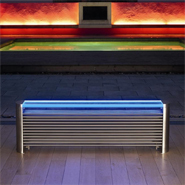 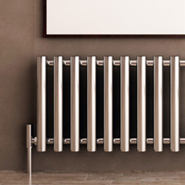 We offer a diverse range of Designer Horizontal Radiators suitable for a variety of installations and roomsets. 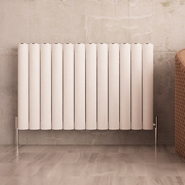 Whether you have dimensions and heat requirements to work within or your looking for a statement piece of Designer Heating we can help! 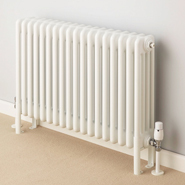 All of our Designer Horizontal Radiators are suitable for installation on your Central Heating System when fitted with a pair of compatible Radiator Valves. 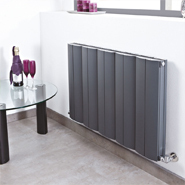 The Proteus Anthracite Designer Radiator is a stylish and contemporary alternative to a standard convector, bringing personality and a modern designer look to your living space. 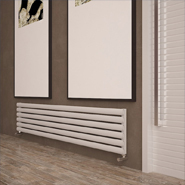 Our range of Tubularo 3 Column Radiators are a classic statement piece of designer heating. 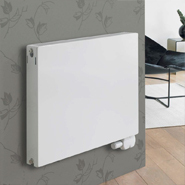 They make a feature of any roomset while providing impressive heat outputs. 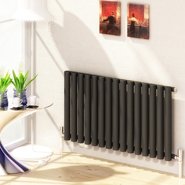 We have a variety of sizes to suit a variety of installation requirements.